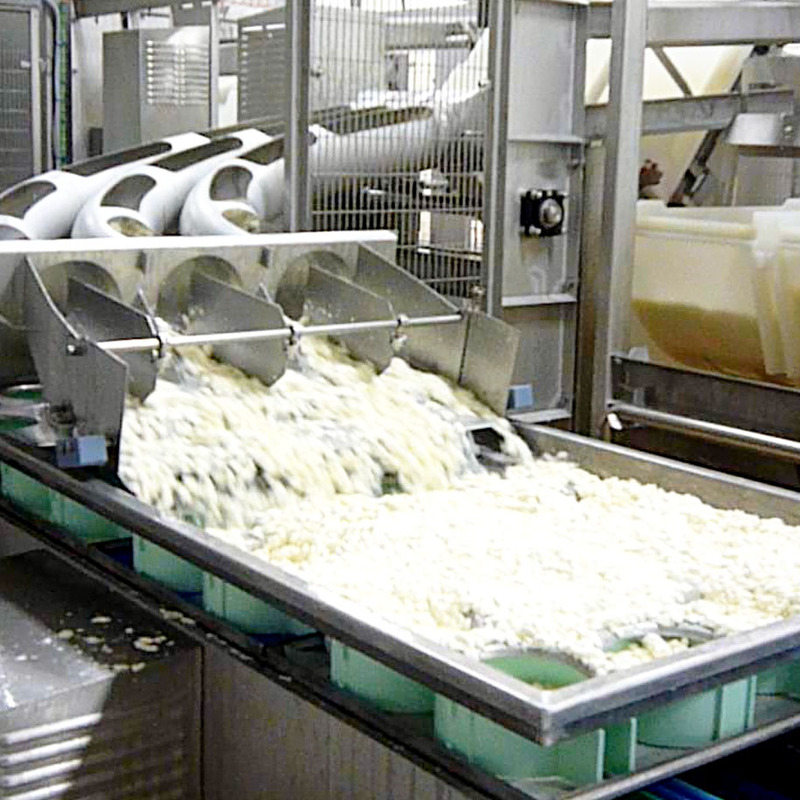 Tecnal is the specialist and world leader in vat lines applied to Camembert, Brie, and other soft cheeses production. Tecnal proposes a full range of DynaFrom vat lines to cover all your production needs. 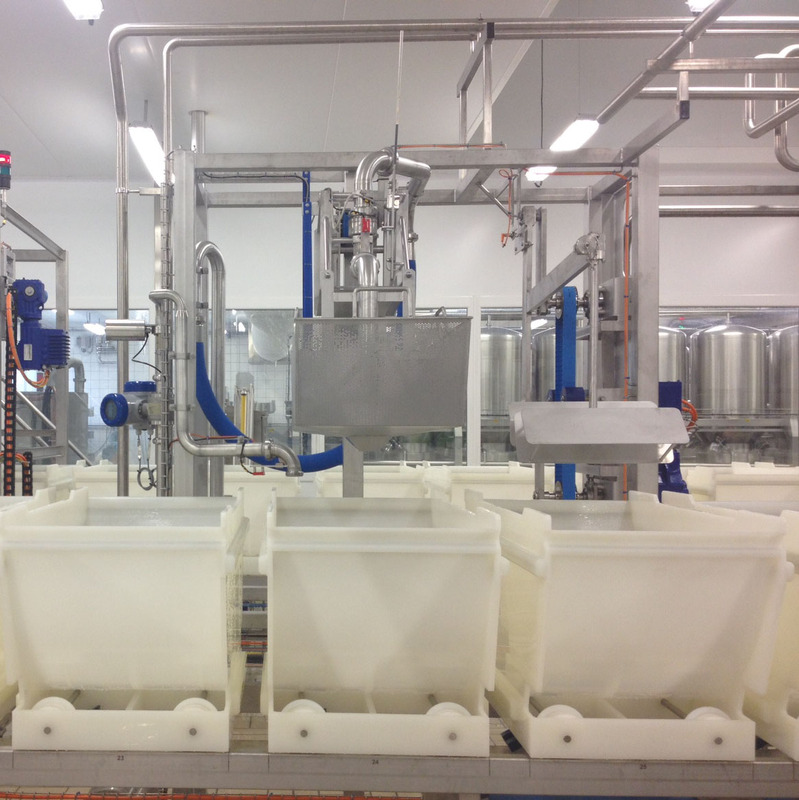 The DynaFrom Batch Line: production in batches or runs from 50 to 5,000 litres. The DynaFrom Continuous Line: production from 5,000 to 500,000l/h. 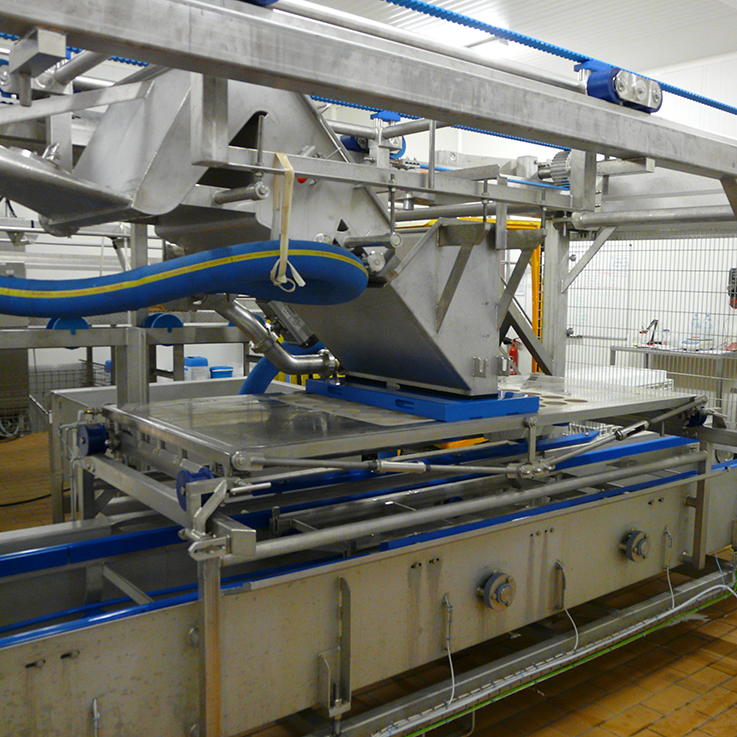 Very high flexibility: you can proceed different products and cheese-making technologies without losing too much time. The DynaFrom line lets you work in batch or continuous mode, from the filling station to the moulding station. You can transform the quantity of milk you want while monitoring and improving precision of each cheese-making parameter. 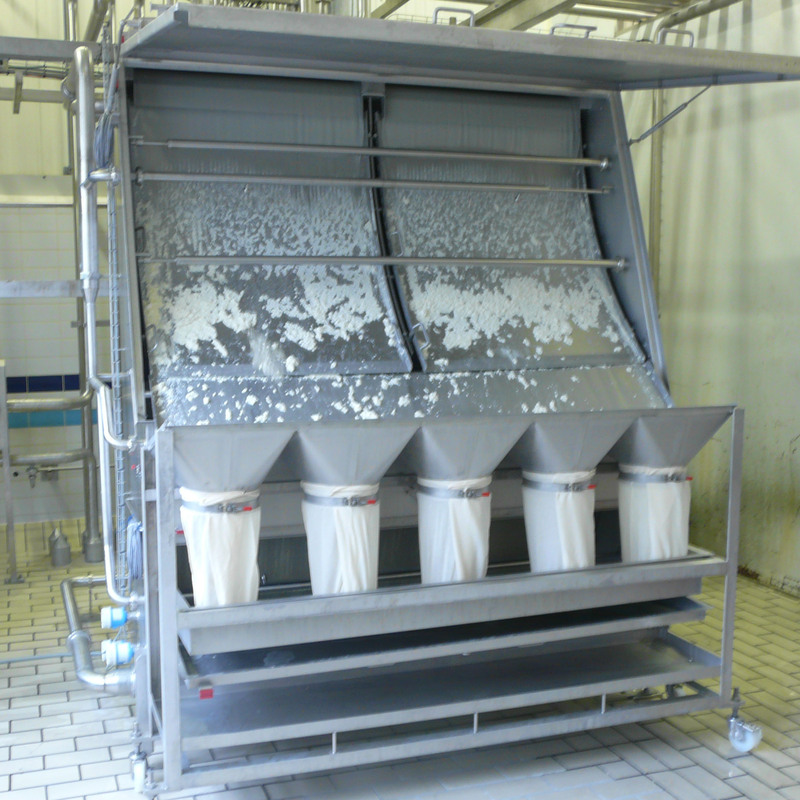 Very high regularity of production: the geometry of our vats, associated with our cutting systems, with or without robots, guarantees regularity of your grains of curd. Fines creation as well as fat and protein losses are extremely limited. Very good hygiene: the design of DynaFrom Batch and Continuous lines by Tecnal's engineering department optimizes the daily washing operations. Our solutions enable you to work in optimal conditions of hygiene and comply with international standards (IFS, BRC, etc.). Suitable moulding: We have several types of moulding suited to your different standard deviations and budget objectives. Perfect synchronization between the vat tipper and your moulding conveyor optimizes your standard deviations. MobilFrom prevents you from mixing wheys and saves you managing of the spacers. PlusFrom gives you high flexibility in continuous production (short or long runs). It is the ideal moulding machine for moulding at the outfeed of a DynaFrom vat line or at the outfeed of your existing coagulation tanks. Quantity of free whey in moulding can be adjusted. For flow rates from 5,000 to more than 45,000 l/h, performance is there for production of high-quality camembert and brie. EcoFrom attracts by its intelligent moulding with self-regulation of the curd and whey volumes to be moulded. Large range of cheeses: from 80 g to more than 3 kg. Cleaning by CIP. This automatic molding machine allows you to perform your batch molding with curd-whey rate adjustment. 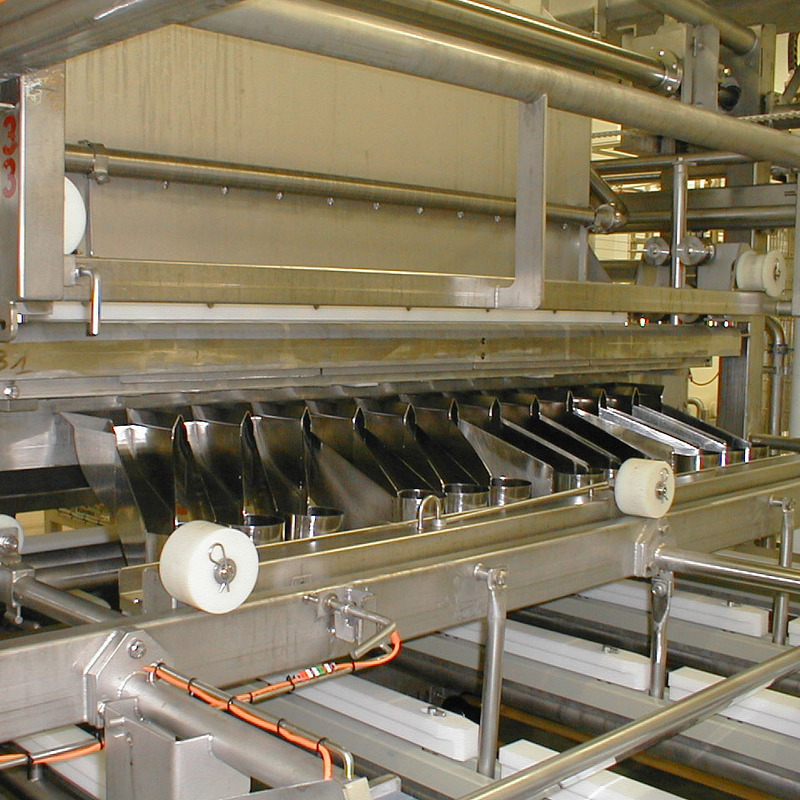 An automatic distribution of the curd is realized for all your formats.